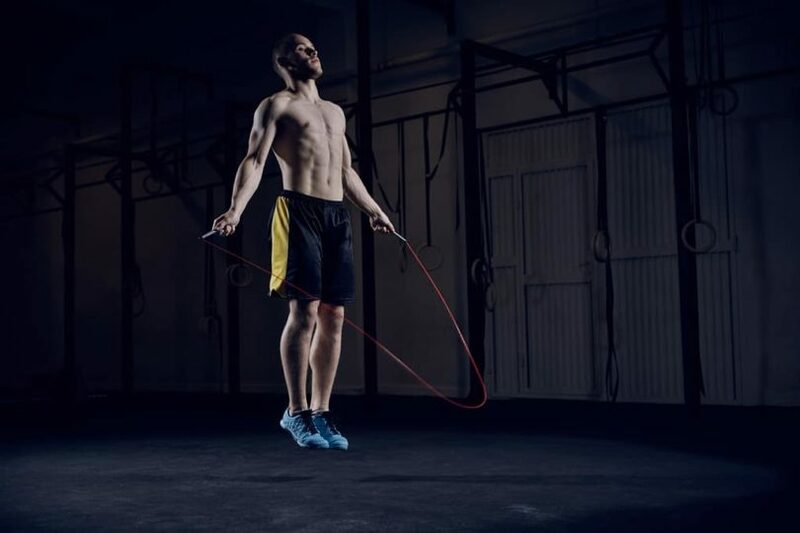 It’s been a long time secret of the pros, but when it comes to martial arts and Jiu Jitsu, you really can’t go past the jump rope as one of the best and cheapest tools to integrate into your training regime. From conditioning to improving ankle strength, stability and proprioception, it’s hard to find something better. After all, did you know that jumping rope burns more calories per minute than running a six-minute mile? Whilst jumping rope has been an exercise that has been available for many years, it really hasn’t made its way into Jiu Jitsu until recent years. In martial arts though, it is one of the most potent training tools. Boxers use jump ropes daily as do mixed martial artists. When it comes to grappling, Buddy Lee, a six-time U.S. national wrestling champion, has used his jump rope techniques to train top amateur and professional athletes in wrestling and judo (among many other sports). With jump rope training, you’ll learn how to use one simple tool to improve speed, agility, coordination, balance, strength, power, and endurance. This is not through just your standard two feet jumping. There are a wide range of jumping techniques along with many exercises and routines you can follow and through these combinations, you will vastly improve the way your body moves and reacts. So in this post, we will run through why jumping rope provides so many benefits to Jiu Jitsu practitioners and we will share a routine that many black belts use in their own training. Our goal is for practitioners to understand why they should be adding jump ropes into their training and also how they can achieve that (e.g. what routines, what type of jump ropes etc). How Does Jumping Rope Improve You Jiu Jitsu? We were first exposed to using jump ropes for Jiu Jitsu through watching renowned black belt Jason Scully train with them. Jason is really impressive with his rope jumping skills and if you don’t believe us, watch the video below. In the video, you will learn more than 20 different types of techniques and “tricks” you can perform using the jump rope and each has a different impact on your body. Here’s the video and you can check out the techniques Jason shows. But it wasn’t until after joining a gym with a proper martial arts program that we really started taking jump ropes seriously. 1. It improves cardio, conditioning and endurance. When it comes to a cardio exercise, running, jogging, even sprinting can’t match jumping rope. That’s because you can do ALL those activities while jumping rope, and all at the same time. And we all know how important cardio, condition and endurance is whether in training or at comp. 2. It improves coordination, agility, balance and stability. These are all essentially when it comes to rolling on the mats and jumping rope really pulls it all together. 3. It improves strength in various muscles and joints including your ankles, wrists and of course in the muscles you use in each exercise. Whilst brute strength is not what we are after in Jiu Jitsu, having strength in your legs, ankles, wrists etc will greatly help when you attack and when you defend against submissions. Now before you run out and grab a rope and go crazy training with it, there are a few other considerations and things you need to know. There is little point just jumping rope once a week and doing exactly the same exercises. At a minimum, it’s best to try to include at least 20 minutes a few times each week or more (e.g. 5 times is good). If that’s not possible, add 10 minutes before or after each training session and it will really pay off in a month or so. Also, jump hard for one minute, then rest for 30 seconds and repeat. Complete that cycle as many times as you can, which will likely not be many. To assess the intensity, count the number of jumps you do each minute. Between 60 and 80 is fantastic, above that is really pretty amazing. Give this routine a shot picking some of Jason Scully’s techniques in the video above and see. In a month or so, you will be impressed with your progress. a. Adjustable to your height. The better ropes have nice screws you can use to adjust the length of the rope so it suits your height. The best ropes have metal screws on the outside for easy adjustment (e.g. don’t have to take apart the handles). That way, multiple people of different shapes and sizes can use the same rope (e.g. save money not having to buy multiple jump ropes). b. Has comfortable handles. Believe us, when you start to do cool exercises like Jason Scully, the grips on the handle make a huge difference when it comes to gripping the rope, and also for comfort and not getting blisters. Invest in a rope with good handles and save your hands. They will thank you when you hit the mats. c. Is super-fast. What’s a super-fast jump rope you say? They call them speed ropes and they are designed for great rotation speeds. The faster the rotation speeds, the smoother and the easier you can jump rope. Not to mention how much easier it will be to do double and triple unders (e.g. rope rotates two or three time underneath you per jump). Double and triple unders are what good jump ropers are measured on so get a rope that will help you achieve that. Plus many techniques and exercises require them. And there are actually jump ropes that are so fast they use a ball bearing system in the handle bars to ensure the cable rotates as quickly as possible. Check out our favourite Jump Ropes for Jiu-Jitsu here!